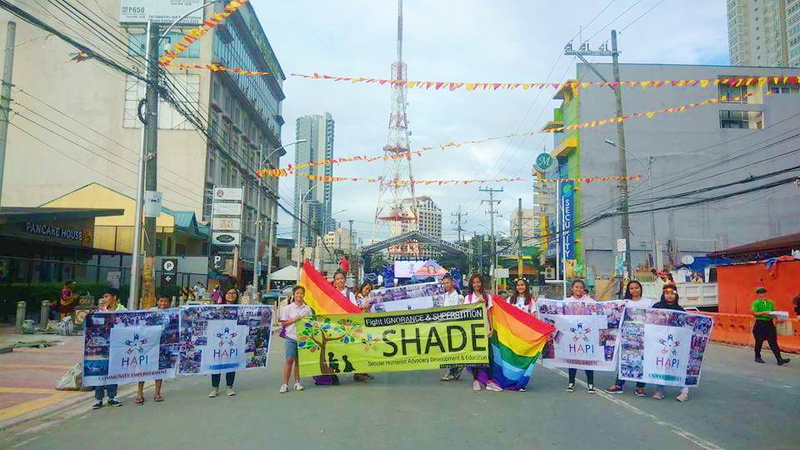 Humanist Alliance of the Philippines, International (HAPI) is, to date, the only functional and SEC-registered secular humanist organization in the Philippines with outreach programs such as Kids Nutrition Campaign, Secular Humanist Advocacy Development and Education (SHADE), Green Movement, and LGBTQ & Straight Alliance among others. Although an international society with members across the globe, our main focus is to make a difference in the Philippines. Most of our members are with Filipino heritage, and most donors are overseas workers and foreigners with no vested interest in our efforts. Our very first successful program has been dubbed as Kids Nutrition Campaign (HAPI - Kids NutriCamp). Based in Muntinlupa City, it desires to alleviate poverty one community at a time. The program centers on a tiny sector in the outskirts of the metropolis, with the hopes of replicating it in more areas. Through the years, it has achieved self-sufficiency, thanks to our regular donors and the dedication of its Project Manager, Jamie del Rosario-Martinez, also HAPI Executive Secretary. More than a feeding event for the children, HAPI - Kids NutriCamp is also an opportunity to do SHADE sessions to further the cause of secular humanism in the country. Lessons are carefully planned to develop critical thinking, ethics, logic and reasoning skills of the beneficiaries. Important yet sensitive issues like anti-bullying, reproductive health and financial literacy are also discussed to help form informed opinions. Another very successful avenue of humanism is the nationwide HAPI - Green Movement, a program that has built upon the old HAPI Trees project. Its flagship service is the Manila Bayside Clean-up which happens in partnership with Las Piñas-Parañaque Critical Habitat and Ecotourism Area (LPPCHEA), the sole wetland in the national capital. Situated south of the Manila Bay, the area is surrounded by mangroves that unfortunately trap commercial and residential wastes from the bay. With the plan to do clean-ups quarterly, HAPI looks forward to gifting a preserved LPPCHEA to the next generations.